NU-b is a new gas cylinder with its main features being its lightness and its packaging design. Due to that, now it is possible to show it and not to hide it. 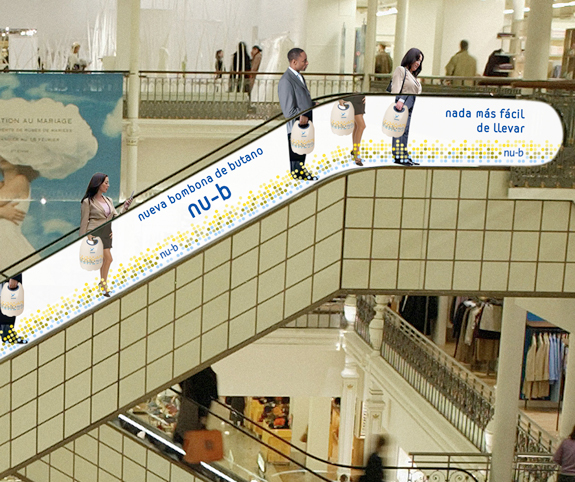 Show the lightness and design of the gas cylinder through humour in day by day situations and unexpected places. New gas cylinder by Nu-b. There is nothing as easy to carry. New gas cylinder by Nu-b. Light as a cloud. 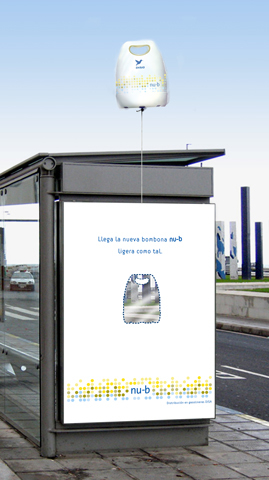 A balloon with the shape of the gas cylinder is attached to bus stops. 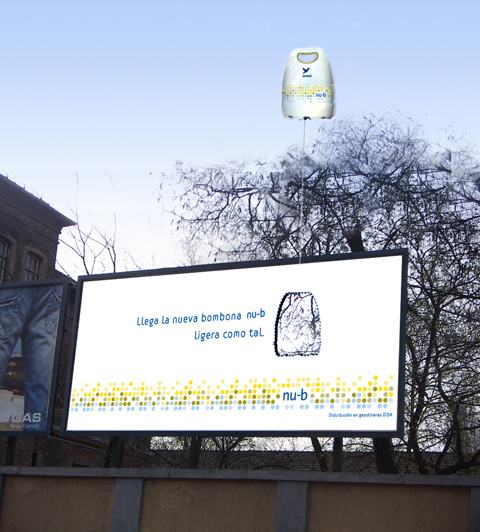 A balloon with the shape of the gas cylinder is attached to a billboard. New gas cylinder by Nu-b. There is nothing easier to carry. Sticker in escalator making the impression people are carrying the gas cylinder. 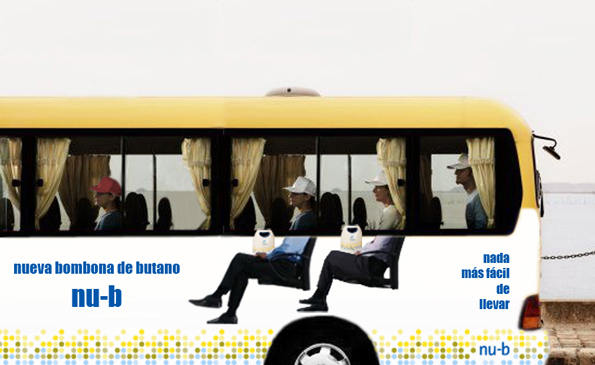 Sticker in buses making the impression people are carrying the gas cylinder.